Do you ever find yourself window-shopping for cool kids clothes only to realize you’re just wishful-shopping for… yourself? There is something about pint-size pieces we can’t seem to resist. 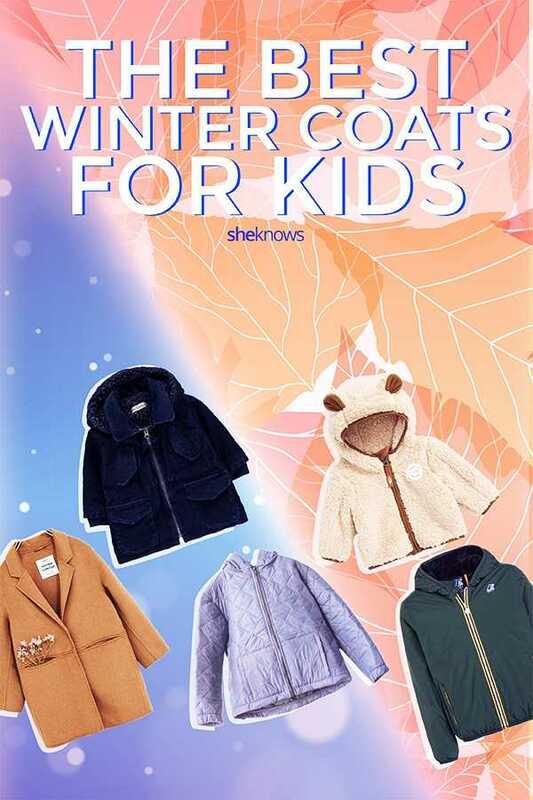 And luckily for everyone looking for a good excuse to buy cute clothes for tots, the tiny fashionistas in our lives may well be in the market for a new winter coat now that the weather’s turning quickly colder. 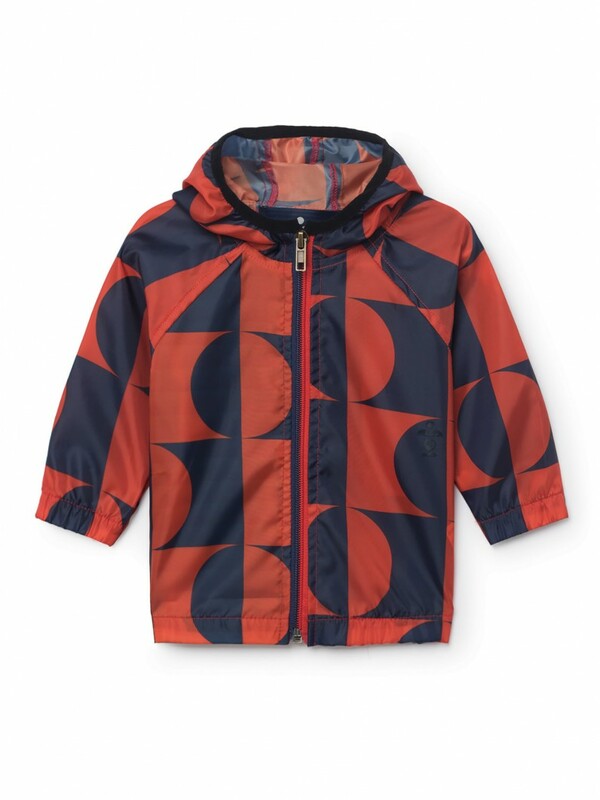 Thankfully, there’s no shortage in the wide selection of kids outerwear out there — at big-name stores as well as indie boutiques. 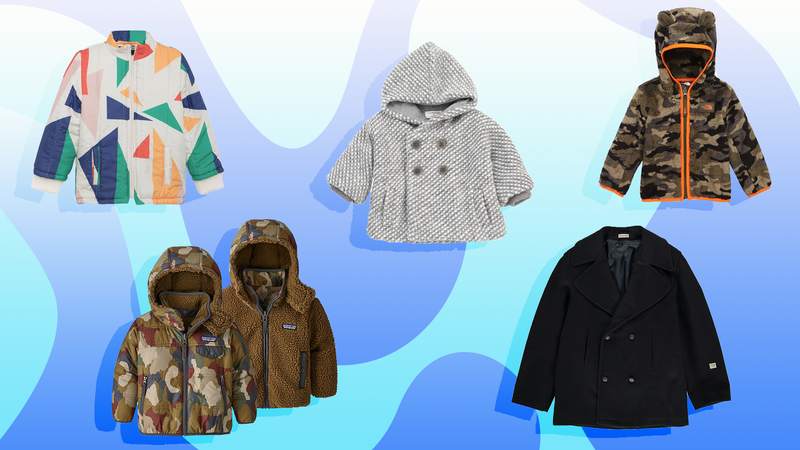 From fluffy to elegant to wool to waterproof to bear-shaped and everything in between, here are your best bets to keep the little ones in your life warm and stylish this season. 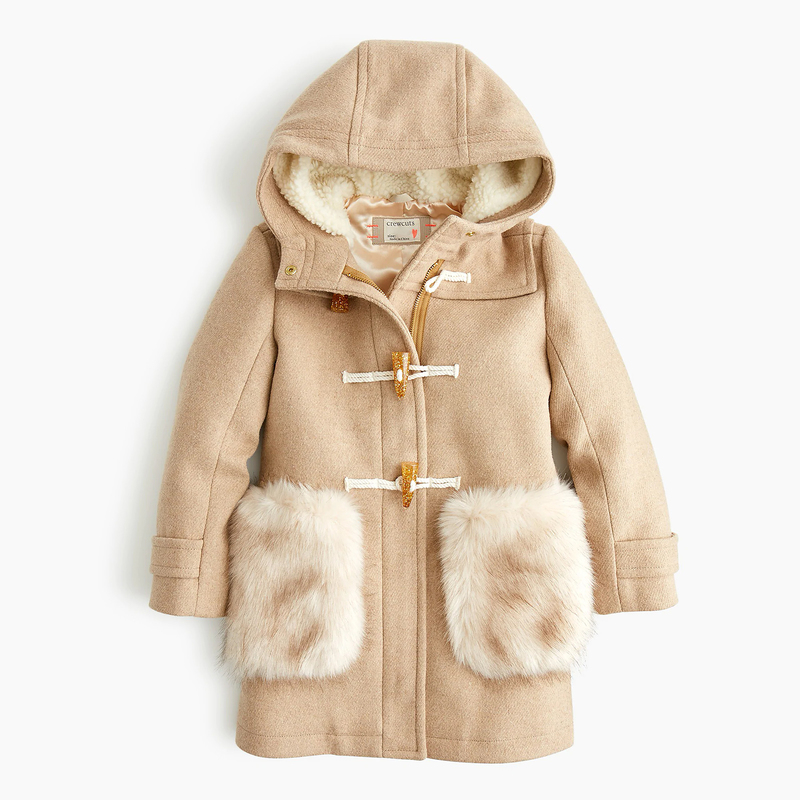 Shop our selection of coats for many different budgets — and for kids of all ages. And don’t worry. You aren’t the only one wishing these came in your size. Eco-friendly folks, rejoice. This jacket is made from recycled plastic bottles! Thanks to the durable construction, it is lightweight, waterproof, breathable and warm — and did we mention eco-friendly? Available in sizes 18 – 24M to 11 – 12Y. 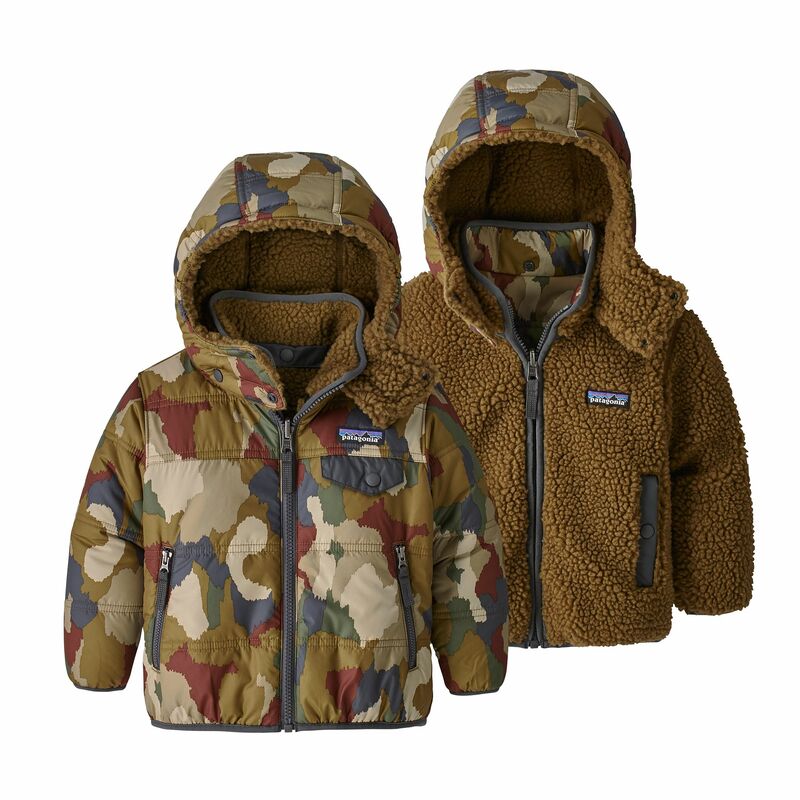 Any toddler will look great — and stay warm — in this patterned jacket. 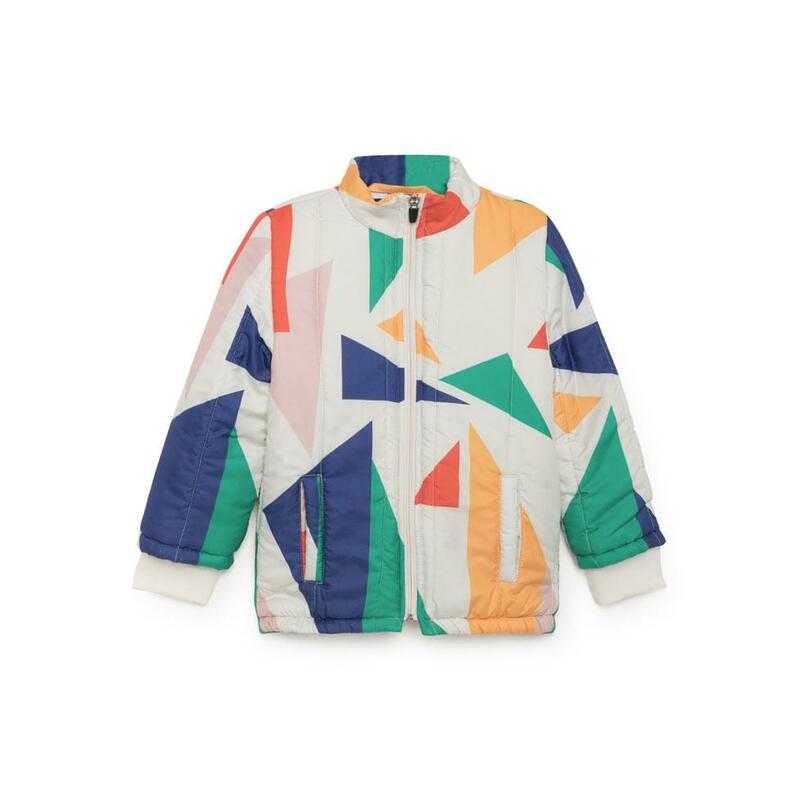 Colorful and cool, this jacket is also water-repellent and warm. Direct your fashionable kids to this line of playful outerwear. Available in sizes 2 – 3 to 10 – 11. Reversible jackets are still trending, and we aren’t complaining. This edition features fleece on one side and a polyester windproof shell on the other. 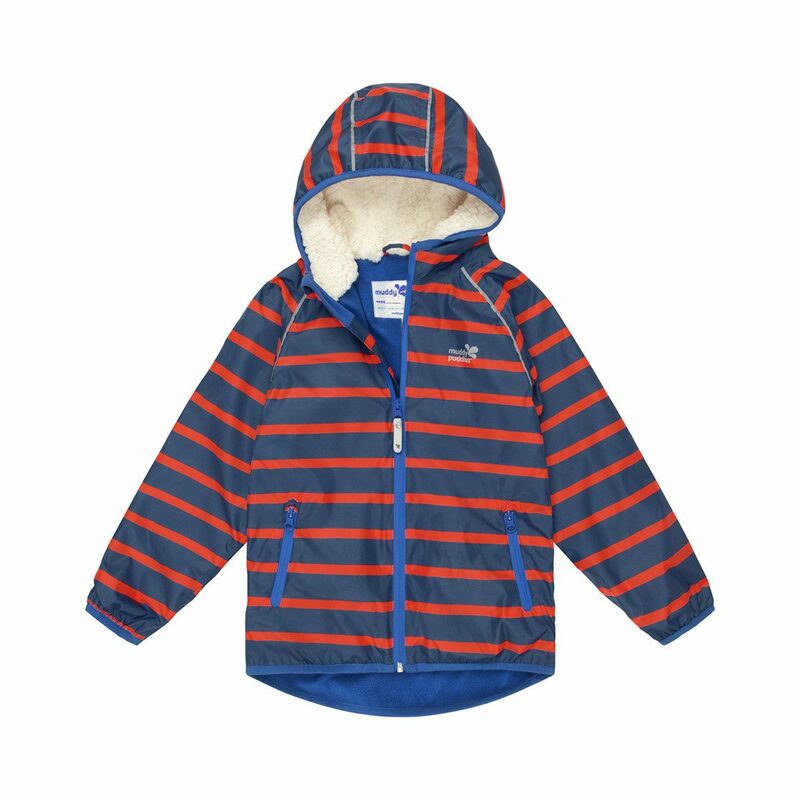 The jacket is available in five color combinations; let the little ones pick their favorite. Available in sizes 3 – 6M to 5T. 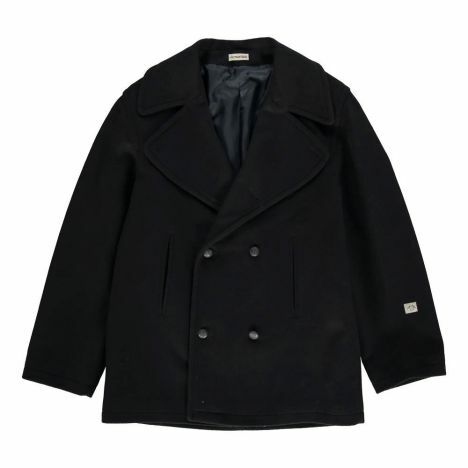 The rich navy wool and classic styling make this coat ideal for day-to-day wear as well as more formal occasions. Kids and parents will love this style that can be worn all season long. Available in sizes 2Y to 14Y. For a lightweight option, opt for this hooded jacket. Thanks to the jersey lining, any kiddo will be happy to hang out in this all day. Available in sizes 18M to 3Y. No kid will get lost on the playground in this bright number. The yellow jacket with buttons and shirt collar will keep young ones warm, fashionable and easy to spot. Available in sizes 6Y to 13 – 14Y. 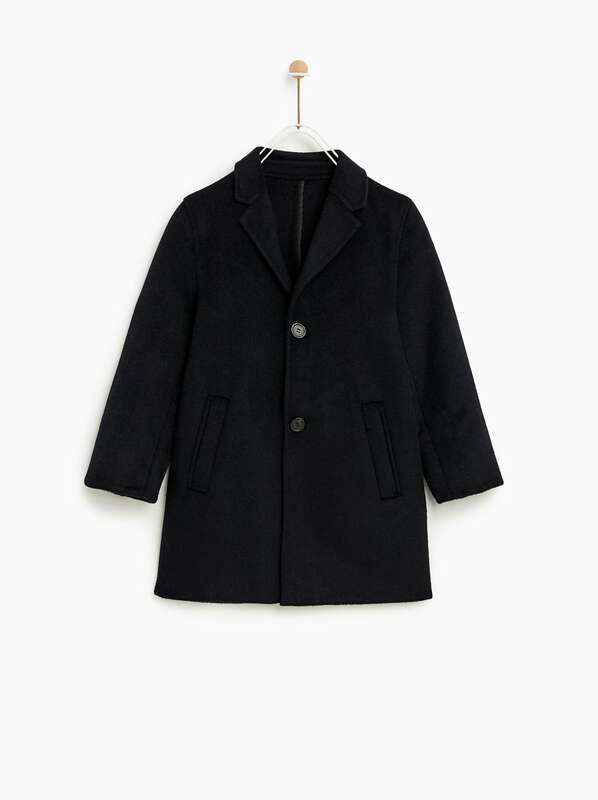 Boys and girls alike will look beyond dapper in this coat. The traditional color and cut with lapel collar offer a sophisticated look. Available in sizes 5Y to 13 – 14Y. Peacoats work great for every age. This traditional navy wool option has fashionable buttons and epaulets, which conveniently make it look more expensive than it is. Let your little one pair it with jeans for a casual look or over a dress or tie for the holidays. Available in sizes XS to XXL. 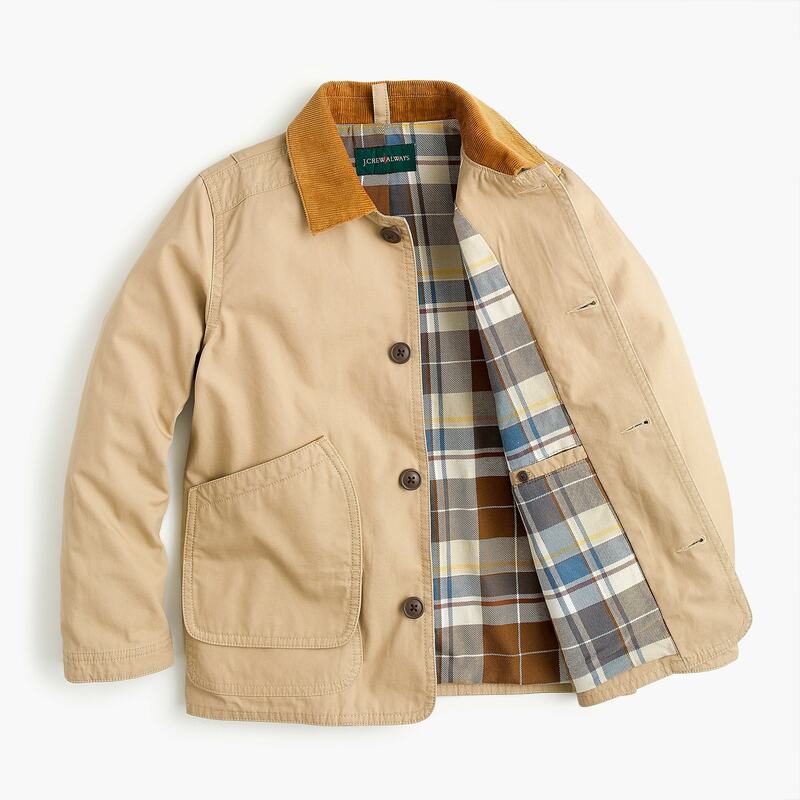 A classic style, this barn jacket is made to last. Let your oldest wear it in before passing it down to little brothers and sisters. Made of cotton and machine washable, it is warm and easy to clean. Available in sizes 2 to 16. 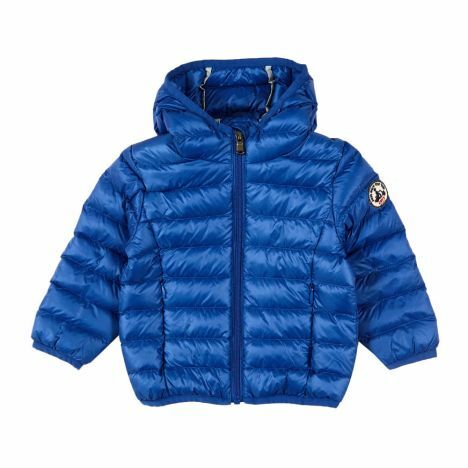 This coat, which comes in many color combinations, is perfect for the kid with personality. The eco-friendly Primaloft stuffing, water-repellent exterior, thumbholes and removable faux-fur hood are more reasons to love this parka. Available in sizes 2 to 16. 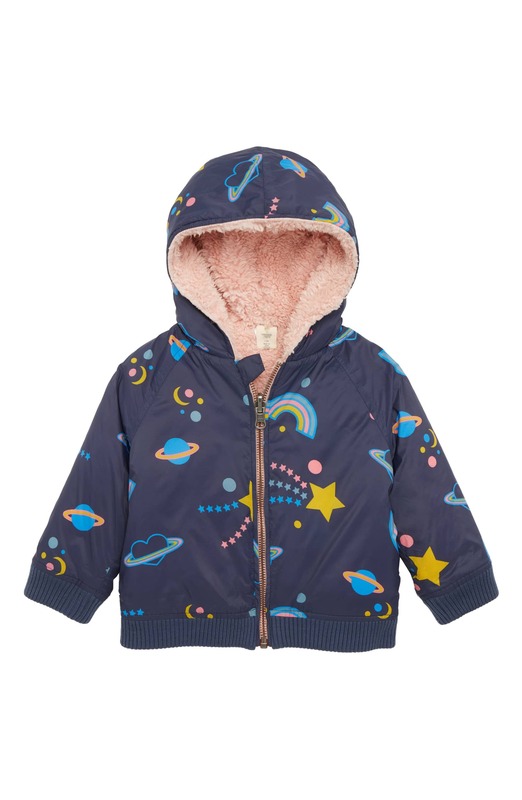 We finally found an out-of-this-world jacket for an out-of-this-world kid. The reversible jacket features a galactic print on one side and a faux-fur solid on the other. Available in sizes 3M to 9M. There is no shortage of prints this year, and we are taking advantage of the trend with this wind stopper. This jacket is ideal for rainy days, but when the snow starts to fall, be sure to add another layer. Available in sizes 18 – 24M to 24 – 36M. You can tackle any snow day with the help of a down jacket. 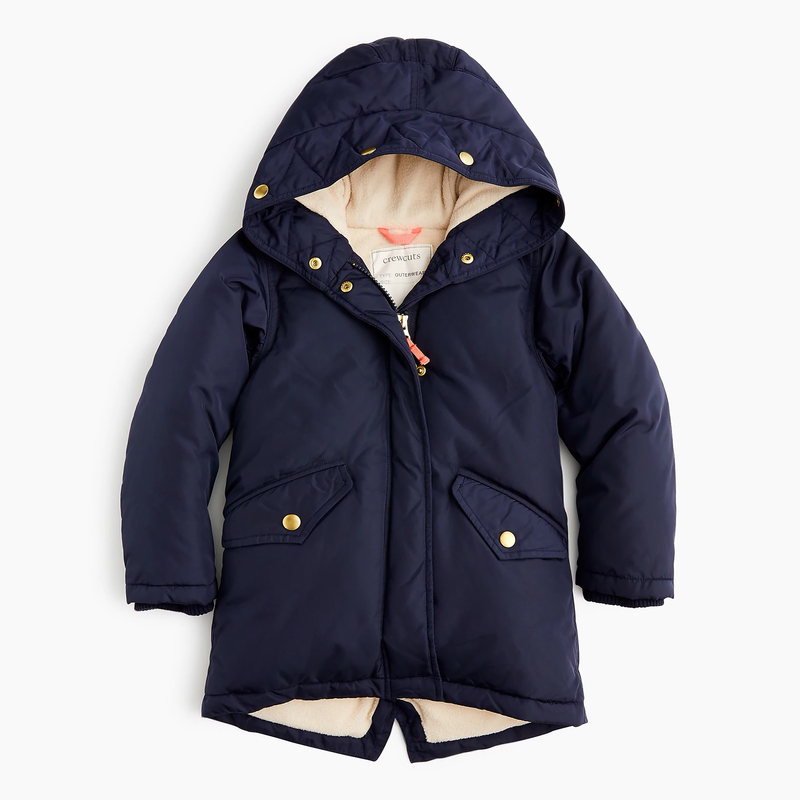 The hooded jacket will keep any kiddo warm all winter long. Bundle ’em up, and send ’em on their way. Available in sizes 3M to 23M. 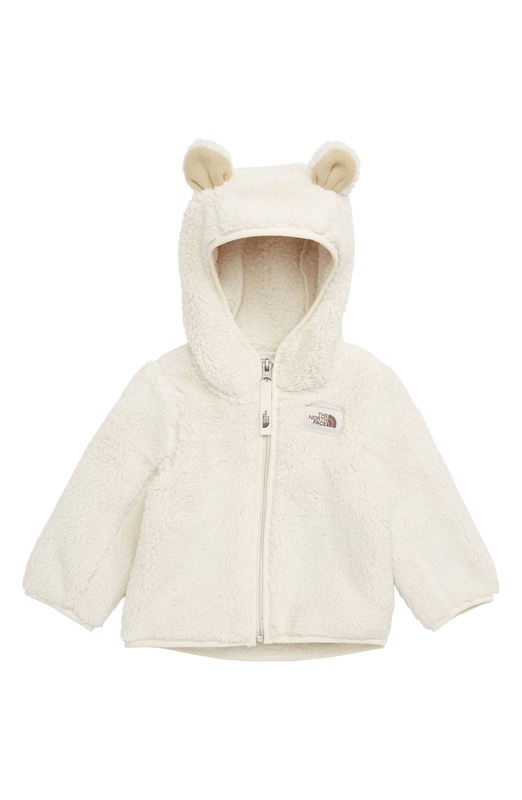 This classic style gets a fresh update thanks to faux-fur-trimmed packets and a teddy-lined hood. 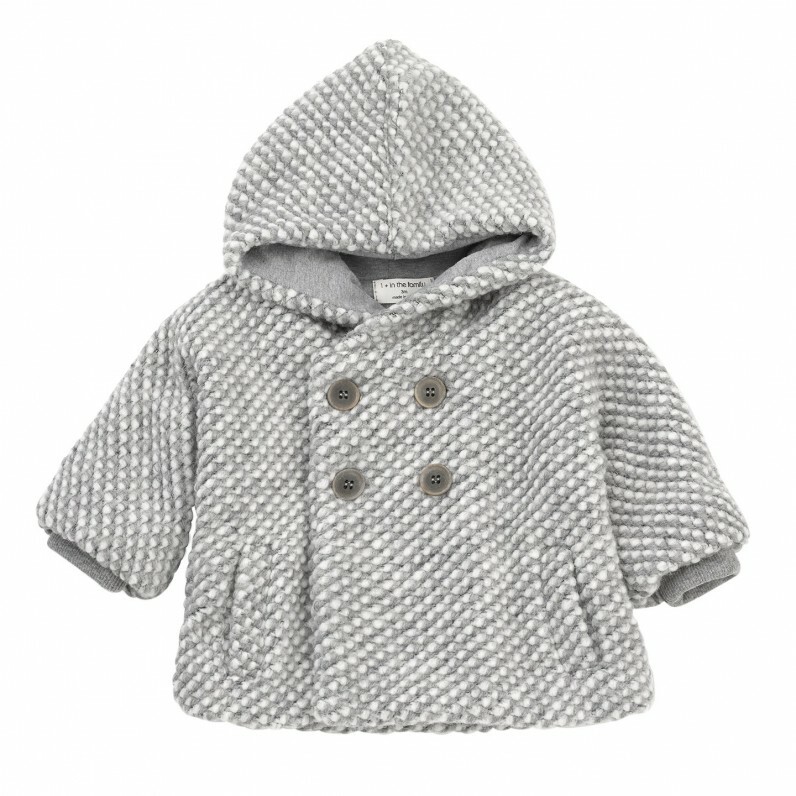 We promise your little one will look nothing less than adorable in this toggle coat. Available in sizes 2 to 16. Image: Zara, Maisonette, Nordstrom. Design: Ashley Britton/SheKnows.